An ecommerce website wasn’t a full necessity for merchants 25 years ago. However, today nobody thinks twice about it because if you want to succeed and make your product popular – you must have a website. Today, another question is in the mind of entrepreneurs: do they need to create a mobile app for their store? Well, you shouldn’t waste your time and allocate a budget on mobile app development for your online store. It’s not enough to just build an app. It is necessary to catch some hot development trends in this niche and use them within your app to make it more competitive. In this article, we will list the main trends and benefits your mobile commerce (m-commerce) app should keep up with. Why app development is beneficial? 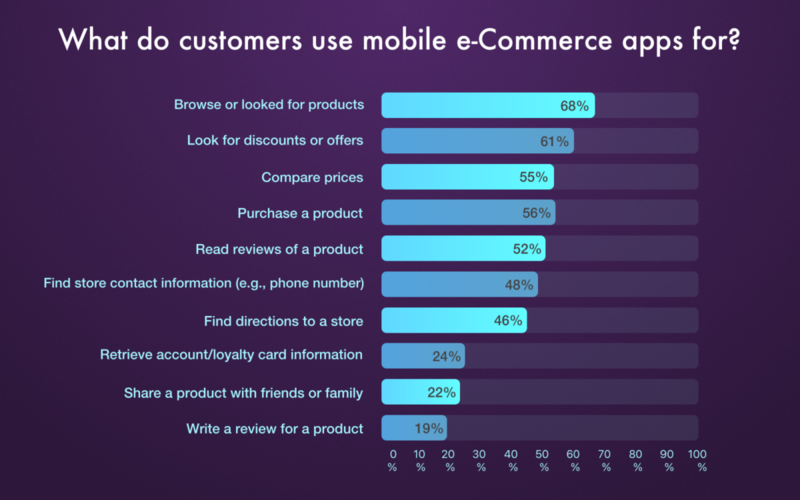 Google has conducted a survey which showed that about 58% of m-commerce app users tend to utilize such apps to find attractive discounts, compare prices, read reviews, and buy. And about 66% of users purchase something once a week. It’s also no secret that 9 out of 10 customers have their phone nearby around the clock. And they prefer using mobile devices over desktop, so building a mobile app can be a serious benefit. In addition, when people use mobile devices, they more tend to buy something quickly and impulsively because they don’t need to go somewhere, find cash to pay, and so on. They just need to click a few buttons on a phone and that’s it. So what are some of the advantages to building an m-commerce app? First, you will have the potential to retain about 61% of your customers. Here are the current m-commerce trends supporting the need for mobile commerce apps. Companies like Spotify, Pizza Hut and many others already use chatbots for mobile. Why? More than half of their customers like to communicate with employees via chats and emails. So chatbot helps customers find an ideal solution if they have any issues, and chatbots are available around the clock. 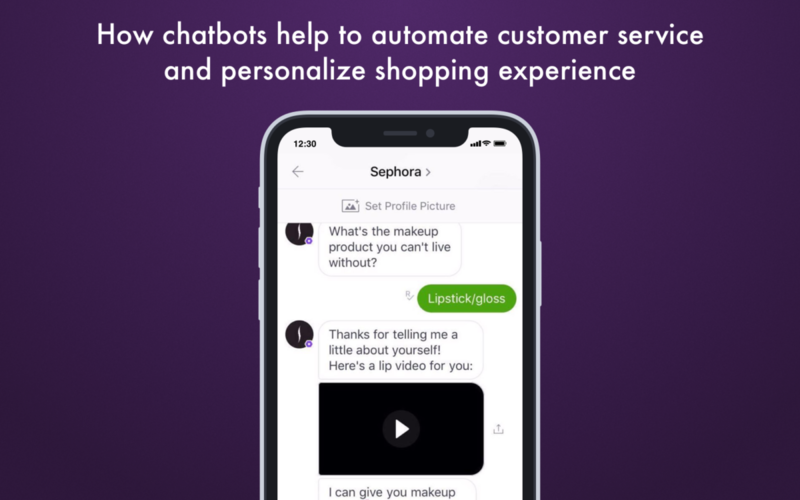 Besides that, chatbots use artificial intelligence (AI) and machine learning (ML), so these technologies make it possible to collect information about customers, analyze it and apply learnings. Chatbots may even find a better way to solve customers’ problem since they will predict their questions and will provide them with a better experience. And 70% of users will have more trust towards an app that uses such technologies like AR. This m-commerce trend helps increase sales and leads business to success. Geofencing is tracking users’ location, and when users are, for example, within a certain proximity of a brick-and-mortar, consumers will receive notifications to buy something at a preferred price. Thus, your customers will be satisfied with high-quality service, and you will gain more benefits. 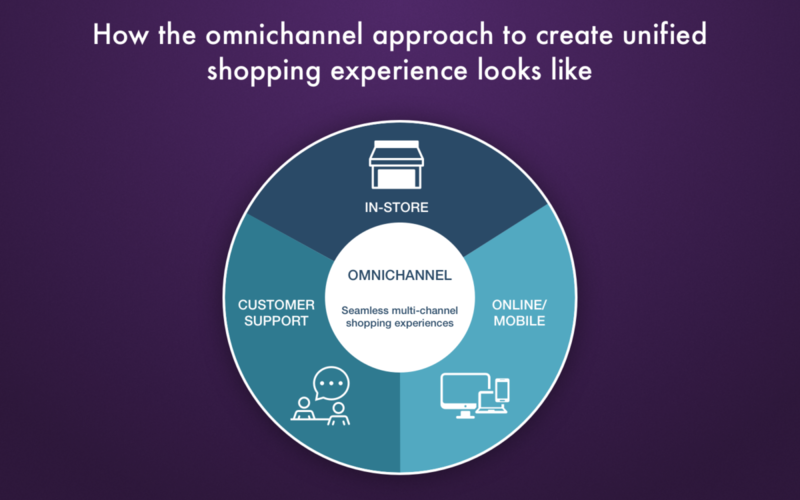 A true omnichannel experience means that you find your customers in as many places as possible. So information about your business or brand should be available in all popular social media channels, so physical shops (if you have ones) should be tightly combined with your digital shops. Using all possible channels to contact your potential customers and engage them. Amazon patented this technology, so no one else could use it in their business. 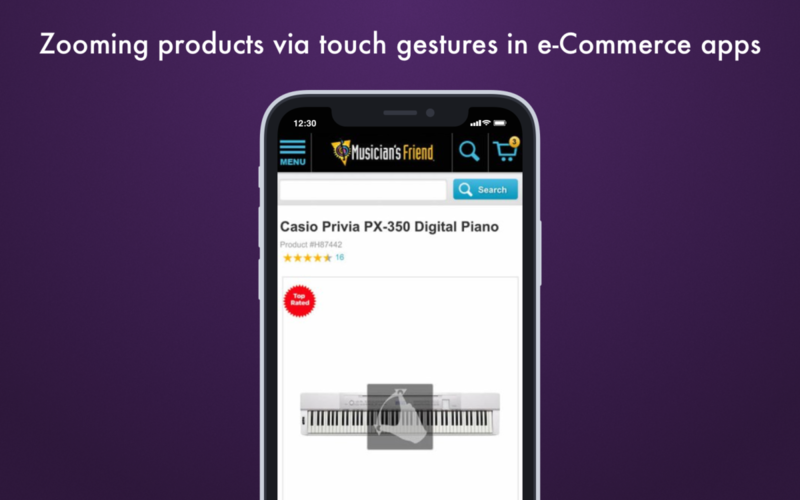 However, the patent expired in 2017 and it means that all brands will try to integrate a button for one-click purchasing. Why is one-click purchasing button a real m-commerce trend? Users won’t need to input their personal data again, they will need to do only one-click to buy something. This button will help increase impulsive purchases. Users pay more attention to websites that may provide them with a personalized experience. Using ML algorithms, the online store will collect information about each customer via social media and messengers. Collected information helps AI predict what users will buy next and what they are interested in. Thus, AI will help users better understand what they want. Big Data algorithms will be more useful for you. These algorithms will help you valuable information about future trends that are not popular today yet, but they have great potential. Also, you will always know products are in demand today. Also, Big Data will allow you to calculate the best price for your product considering competitors’ prices. There are a few important steps for design building to consider. Let users zoom. To see more details about a product, users should be able to zoom pictures. Thus, users will have more confidence in purchasing a specific product. To achieve it, make sure that product photos have high resolution and notify users that they can zoom photo. Not everyone may guess about the availability of this feature. Make sure that the shopping cart saves all items. In good ecommerce websites, shopping cart should save everything users collected and let them find it when they return to your store next time. Especially it concerns mobile users. Users may save some items and return to shopping later. And if they find that all items disappear, they will unlikely to choose items again and will quit your store. The app should be secure. All personal information of users should be encrypted, they need to have all the information about each action. For example, if they click a button, they will be notified about where they are redirected. And tell users that all data they use on your store is protected – they will feel more comfortable. Accelerate checkout process. 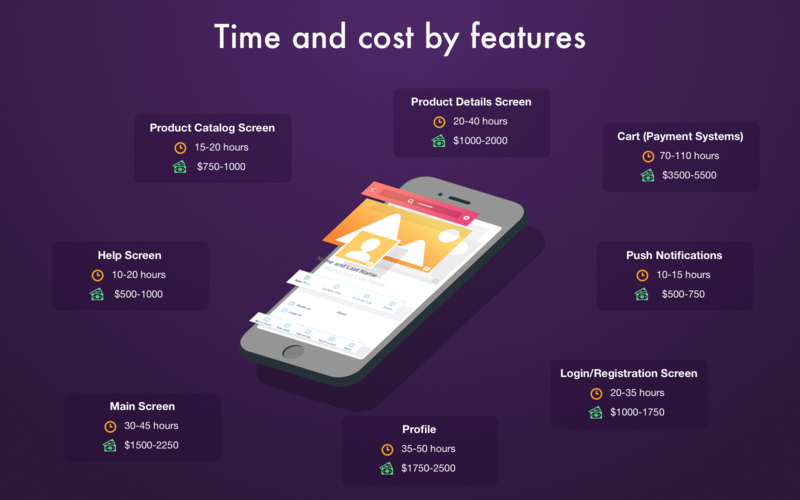 When users plan to purchase a product, they need to undergo through a checkout process which includes place of delivery or pick up, payment method, and so on. Mind that about 35% of users stop purchasing process if they need to register a new account. That is why you should add a guest checkout feature. And don’t forget to specify the number of steps the user will need to undertake to complete the checkout process. Add automatic prompts. If users input the name of the product and miss one letter in a word, for example, your e-store should give them prompts to choose what they want. Because not every user will type the name again. 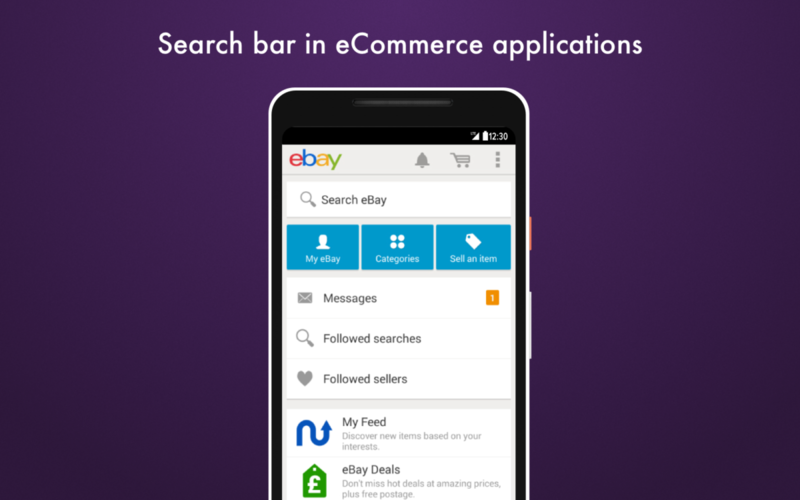 On the whole, users should feel convenience when they surf your m-commerce app. Make a search bar visible. And, the last but not the least one step is to make sure that search bar is clearly visible and it can be found quickly. Search should provide users with search filters to let them find they need faster. Non-development and meetings: 150-250 hours. 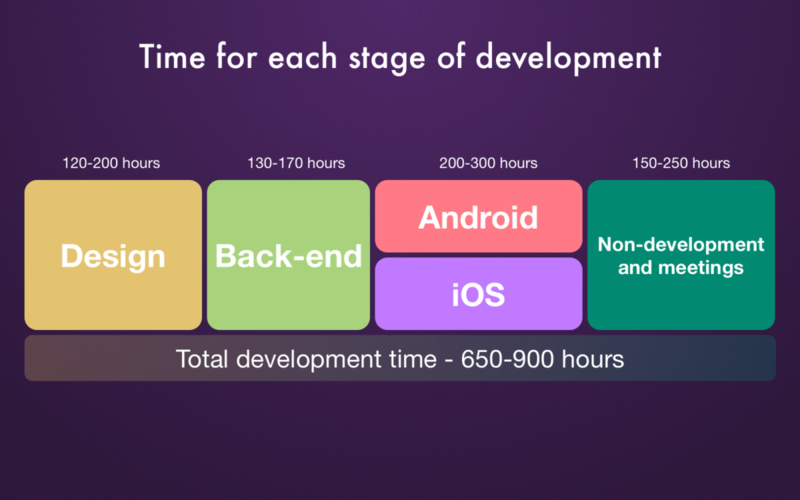 As a result, the total development time for building m-commerce app will be 600-900 hours. Thus, to achieve your goal, you just need to be patient and keep up with all tips wisely. Just follow the right road! The post Mobile commerce app development: why it’s beneficial and how to attract users appeared first on Get Elastic Ecommerce Blog.